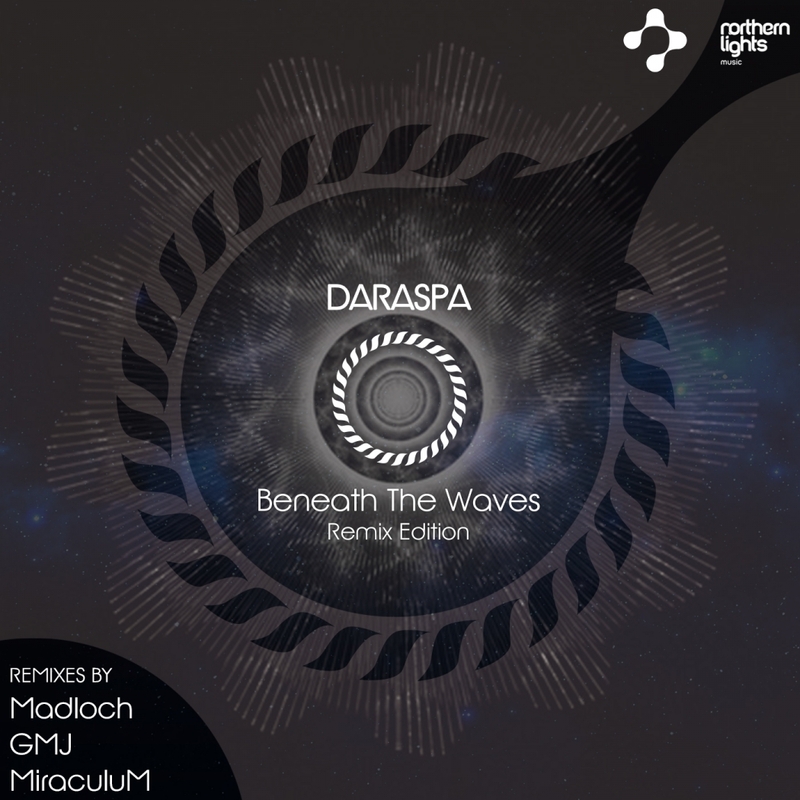 The latest release on Northern Lights Music finds the label revisiting Daraspa’s ‘Beneath The Waves’ for a new set of remixes. Originally released in October of last year it was the lead track on the Dutch artist’s three track EP under the same title. It showcased Daraspa in midst of an evolution as an artist, shifting from a more traditional progressive house blueprint to something more modern and live in approach. Now as 2017 begins to take shape Northern Lights invites Madloch, GMJ and MiraculuM to reinterpret the track. It seems appropriate that one of the remixers here would be Sound Avenue boss Madloch. You could say the Belgian artist discovered Daraspa, releasing his first ever EP entitled ‘Art of Illusion’ in November of 2013. Much like Daraspa, Madloch has been enjoying a sonic evolution of sorts as well. As first witnessed on his ‘Fiction’ single, the Belgian artist too has adopted a more refined and distinctly modern approach. 2017 promises to be a great year and his interpretation of ‘Beneath The Waves’ certainly foreshadows what’s to come. From its buzzing, character rich groove to lively electronics and ominous textural work there’s certainly a lot to like. It sounds absolutely enormous as well, incredibly full yet with a great sense of space. Rugged synth work and a cross-cultural theme play heavily during an intense first act before a short break transitions the piece into a more intense and heady third act finale. A massive remix and perhaps Madloch’s best to date. The second interpretation is provided by GMJ who is making his first appearance on Northern Lights Music. The Aussie artist was definitely one of 2016’s most creative remixers I would say. I can’t really think of another artist in the traditional progressive house underground that brings a fresh approach to each project like GMJ does. He does so again here with a deep and emotive interpretation that sits alongside Madloch’s darker take perfectly. Backed by a warm, fluid groove the Aussie artist works in gorgeous motifs which lift the piece into ethereal territory before a storyboard of indistinct vocals adds just the right air of mystery. Lovely work from GMJ. The third and final interpretation of ‘Beneath The Waves’ is provided by MiraculuM who is also making his first appearance on the label. The Hungarian artist and Stellar Fountain label boss had a tremendous 2016 with the highlight being his thematic ‘The Little Girl Who Shines Through’. 2017 began on an equally great note with ‘Akasha’ released courtesy of Julian Rodriguez’s Massive Harmony Records. Now for his first remix project of 2017 MiraculuM puts his own unique stamp on ‘Beneath The Waves’. Certainly the most peak time version on the release the piece moves with a boundless energy, harassed from a buzzing low end and lively rhythmic core. It’s squirrely lead lines and effects storyboard are definitely what’s most appealing though. A touch erratic and totally infectious it’s a never ending array of sonic delights from start to finish and going from memory one of MiraculuM’s biggest productions to date. A massive remix and a great conclusion to a superb remix package from Northern Lights Music. Highly Recommended.